The Internet of Things (IoT) has deeply impacted several industries by introducing automation at an operational level. As per the recent report from Statista, the number of IoT connected devices in 2018 is 23.14 billion and this number sees no sign of stopping down. The concern of data security becomes more critical now as billions of connected devices are filling our homes, offices and factories. In this scenario, experts think of Blockchain IoT security as a viable alternative to traditional models. This seems to be the only way out to handle the security related issues associated with the connected ecosystem of IoT app development. Blockchain is a decentralized network, unlike IoT that believes in centralized control mechanism. The security protocol based on such a platform is more scalable. The security and protection mechanism of Blockchain IoT security is strong enough to prevent transmission of false information over connected devices ecosystem. Such high-end security and protection mechanism of Blockchain is attracting users, especially the ones that worry about addressing the pressing challenge of IoT security. As per IDC, 10% of blockchain ledgers could be used for IoT by 2020. IoT models of today may not be able to support the rising security needs of customers of tomorrow, if not accompanied with Blockchain IoT security network protection. This term is the combination of two concepts ‘Internet of Things’ and ‘Blockchain’. 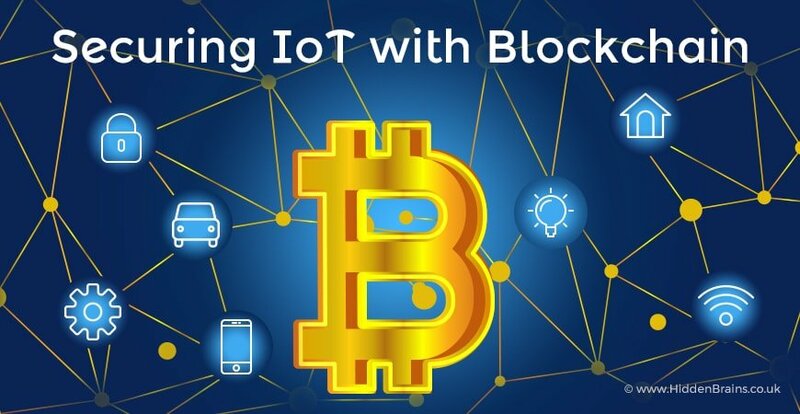 Important benefits of the Blockchain of Things or Blockchain IoT security are enhanced speed and improved security, which results in building trust and cutting overall cost. Startups have already started exploring the implementation possibilities of blockchain-protected security platform for the Industrial Internet of Things. The main aim of creating Blockchain of Things ecosystem is to allow Industrial Internet to rely on the legacy operational technology in order to secure as isolated industrial systems. This system creates a secured and reliable layer for communication, authentication and trust that ensures security at higher scale. In case of IoT connected system, smart devices are not allowed to make security decisions on their own outside the central authority. On the other hand, the Blockchain IoT security model allows for the replication of data set and stores it in each device. For the addition of any bit of data to the network, a process of verification and approval is needed. This prevents hackers from gathering resources for a DNS attack. It is becoming risky to compromise with the single node of IoT. It allows figuring out how to take over a majority of the network all at once. Taking example of Mirai botnet attack, this threat would have detected and quarantined the malware before it could consume enough of the network to take control. Read More: How to Use IoT in Retail Industry for Maximum Returns? The internet came into existence long ago and it was not configured considering the volume and complexities of modern businesses. We are relying on this old technology for sufficing our needs, no wonder that there is high number of security breaches occurring quite often. Integrating Blockchain IoT security to connected ecosystem is a good choice to avoid the risk and overhead of hackers. No sort of glitch can be afforded while addressing the security holes as it may cause severe damage to your business in the future. Hidden Brains is a leading IoT app development company helping enterprises establish Blockchain of Things as per their organization needs and preferences. We have a proven experience of building highly secured IoT apps that connect smart devices and offer complete automation. We perceive your business operations to build IoT strategy and develop prototype for the architecture defined as a proof of concept. For your IoT or Blockchain app development requirements, request for an instant free quote now!